Bunun was originally spoken in and around Sinyi Township (Xinyi, 信義鄉) in Nantou County (De Busser 2009:63). From the 17th century onwards, the Bunun people expanded towards the south and east, absorbing other ethnic groups such as the Saaroa, Kanakanabu, and Thao. Bunun is spoken in an area stretching from Ren-ai Township (仁愛鄉) in Nantou in the north to Yan-ping Township (延平鄉) in Taitung in the south. 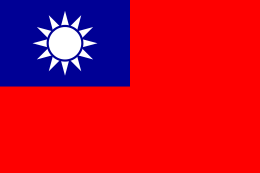 Isbukun is distributed throughout Nantou, Taitung, and Kaohsiung. 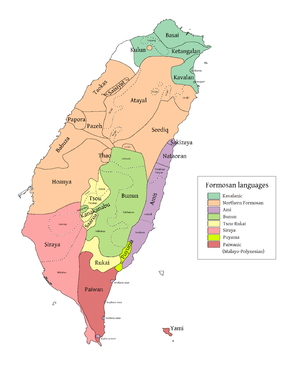 Takbanuað is spoken in Nantou and southern Hualien County. 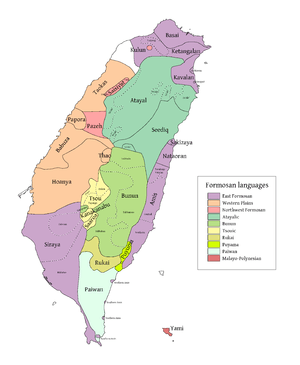 Takivatan is spoken in Nantou and central Hualien. Both Takituduh and Takibakha are spoken in Nantou. ↑ Hammarström, Harald; Forkel, Robert; Haspelmath, Martin; Bank, Sebastian, eds. (2016). "Bunun". Glottolog 2.7. Jena: Max Planck Institute for the Science of Human History.